I'm trying to figure out the best way back from Key West to Fort Myers for my crew. Our trip down here was pretty rough and rolly down the Hawk Channel, so I was thinking the Keys might give us some relief from the roll on the way back? Or would it be better staying closer to the Keys and then turning North, like this? Adds about 5 miles. Here are the wind forecasts. Trying to avoid a beam sea. Forgot the last wind forecast. 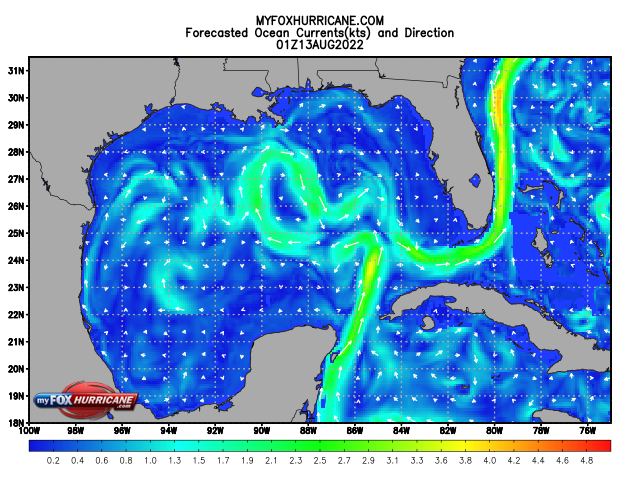 Look for info about, possibly on NWS marine broadcasts, swell patterns in that part of the gulf. The swells could add significantly to the discomfort. Cant see the days..but swells may be around for awhile due to the storm over to the west. Yeah. It's the beam swell that makes it less fun. You shouldn't have any ocean swell, just wind driven waves. 3 FT. MAINLY IN SE SWELL WITH A DOMINANT PERIOD OF 11 SECONDS. CHANCE OF SHOWERS LATE. VSBY 1 TO 3 NM LATE. A swell of 3 feet but 10 seconds is almost hardly noticeable for a boat like mine or yours. 3 foot wind waves on the beam would be uncomfy. A 3 foot swell with 5 second period is almost approaching the characteristics of a wind wave but again on the beam would be uncomfy. You will just have to keep a written or mental note how your boat does and remember what works for you. based on those reports? or just in general? with a storm in the gulf....I would think there could be swells for a couple days....I see some of the Gulf reports aren't reporting swells...A gulf specialty? The ocean swells are from the E to ESE all week along the Keys. The islands along Route 1 from the Mainland to Key West pretty much knocks it down and cuts the size and period in half. Buoyweathers report. I ordered a forecast from the west and another east of the Keys. This is the edited version for tomorrow the 18th. Take the ICW to Stuart and then the Okeechobee Waterway to Ft Myers. The only "open" (still protected but open) water you should encounter will be Hawks Channel to Marathon and the Southern portion of Biscayne Bay. Except those portions the rest of the trip will be very protected. I would have thought your run to Key West from Marathon would have had the seas on the aft quarter? Why are you posting NJ weather forecast for a guy in Florida? I like the 1 foot W side chop better. I do need to start taking notes of the size and direction of the swell that is uncomfortable. I don't think we have had anything over 3-4 feet so far this trip, but it has been short period swell. We hobby-horsed along for about 5 hours into some steepish waves right when we entered the Gulf at Sanibel, and the wife commented that she didn't like it-- taking spray over the bow, bouncing around. And pretty much anything with any size on the beam she starts looking at me with the "what they hell are you doing?" look. We did have some things flying off the shelves at one point. I have a video but can't figure out how to post. It was probably not that bad-- we are likely just weenies. suggest you try playing with speed a bit in the rougher conditions. For us when it gets rough we found a faster speed makes a big difference. Might be worth playing with and see. Here is a video of some of our rolling. In the Hawk channel the other day I did speed up to 8 knots and that seemed to help out some. Remember that weather forecasts are average conditions. Here is a disclaimer that the Australian Government Bureau of Meteorology posts. I think it probably applies to most forecasts no matter where you are. Please be aware wind gusts can be a further 40 per cent stronger than the average and maximum waves may be up to twice the height of forecast (average) wave heights. Can't get the video to post. As you know, most of the Gulf's coastal waters are shallow so any kind of breeze makes for a "washing machine" like chop that is very uncomfortable. Sad, because it is sooo nice when conditions are right. If you have to get out in it, secure everything, stuff flying around adds to the stress, find her a low, comfortable spot. If you can wait for a good weather window think about that too. I'm not impressing her at this point. I do need a nice calm day. She loved the ICW cruising! Also, note the interval of the seas. A 2 second chop can be brutal according to the direction. The longer the duration, the smoother the ride. Me, I like a 9 second swell. If you have time catch the middle of a high pressure and ride smooth seas all the way back to Ft. Myers. Unfortunately, wind is a factor in the Keys and Bahamas. Lake Okeechobee can build a very nasty chop that can be more mud than water. Here's how. Is the movie less than 500MB?